I’m not sure if I’ve ever voiced my hatred for raw tomatoes. It doesn’t matter that we grow them in the garden. We live in the South, and that’s what we do. Stephen loves raw tomatoes. He can tell you one of the hundreds of varieties of tomatoes just by taste alone. The man is a walking dictionary of hybrid, hothouse, and homegrown red gunky things. Aside from steak, potato, and grilled onions, I got a wild idea about grilling some vegetables so they get the same hickory smoke from the wet hickory chips on the grill. 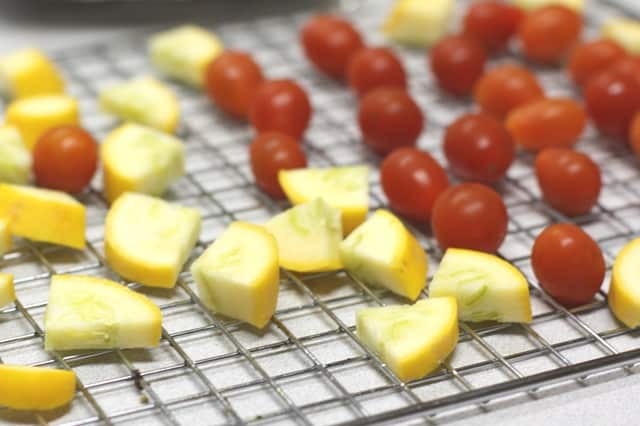 Maybe these will char and taste good on a salad. Maybe. 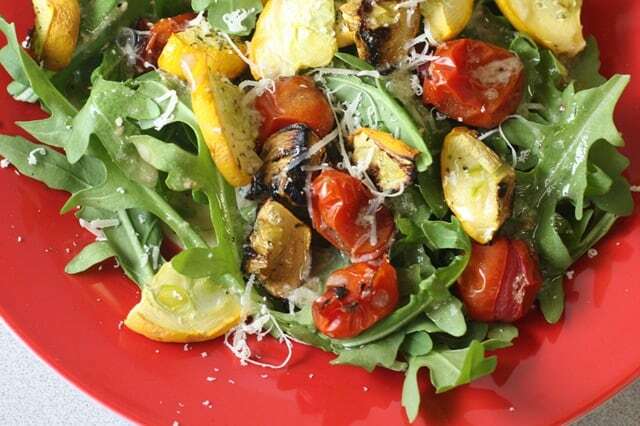 Toss some arugula, which has a strong peppery flavory, with some olive oil and lemon and these grilled vegetables. I INHALED this salad. The tomatoes had burst and the gushy nastiness had drained. All that was left was smoky tomato. I want more of these! Unfortunately, I’m not going to ask Stephen to fire up the grill on a random Tuesday just to make some tomatoes. But, I’ll find a way to roast or use the inside grill pan to make these edible. I feel like a whole new world has opened up to me. 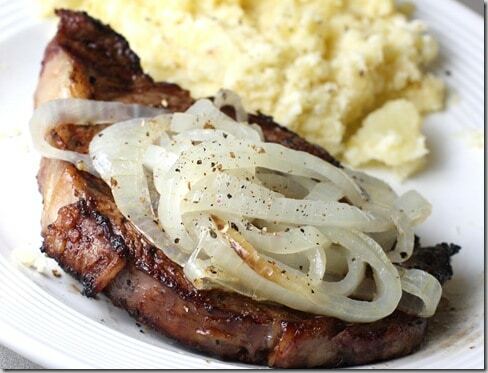 Oh, here is the steak.